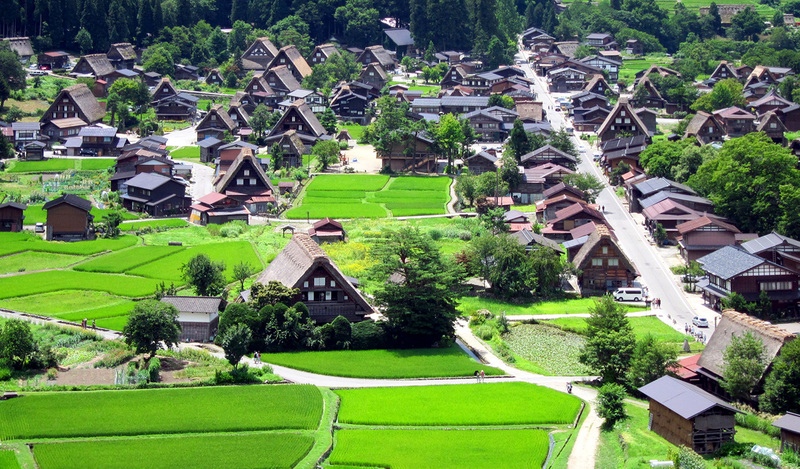 A city that has become the largest city in Japan since 2005, Takayama, and its area is equivalent to entire Tokyo metropolis. 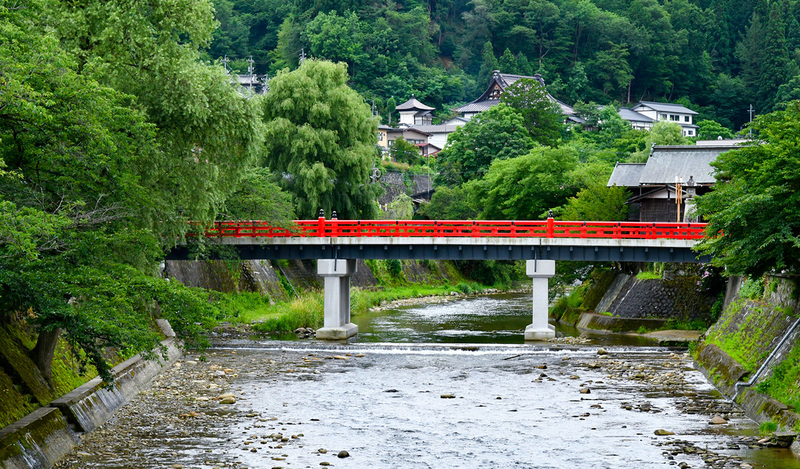 Since Tayakama used to be a capital of Hida-no-kuni province, it is often called a small Kyoto of Hida Region. 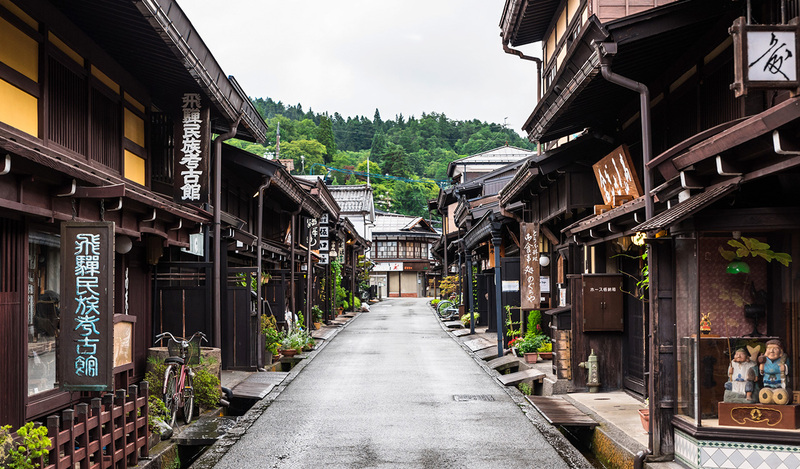 The city of which the traditional merchants’ culture is still alive even today has various tourist attractions. 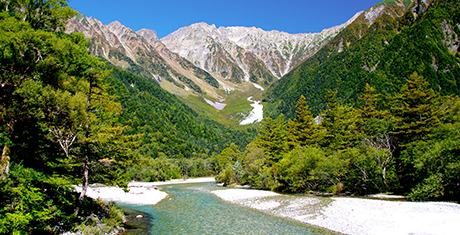 The center of the Gassho-zukuri communities is in the slightly northern side of the central area: Ogimachi District. 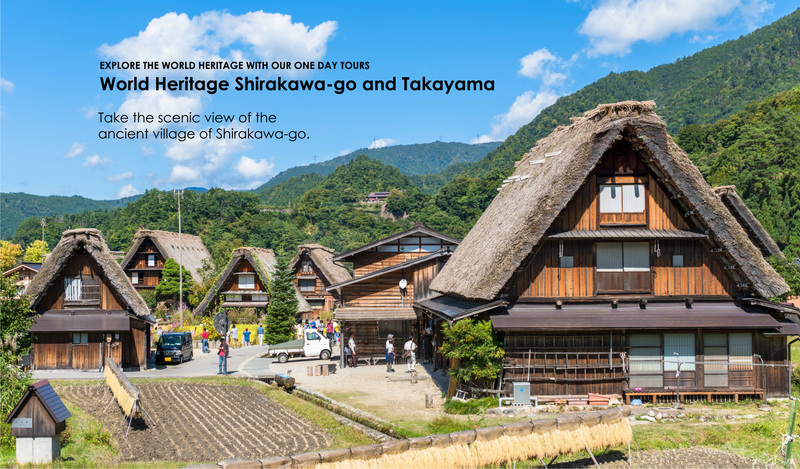 You will learn the wisdom of traditional ways of living together with nature at the interactive facilities or historical museums of the local traditional cultures. 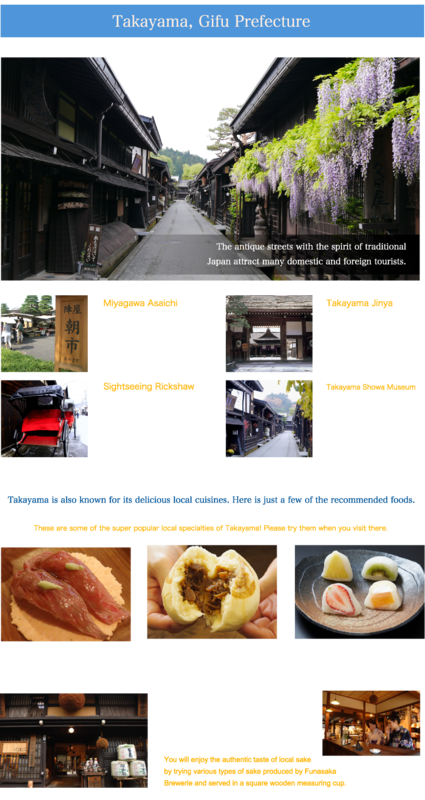 the basic information such as meeting place and time, but not detailed sightseeing information. if the customers apply with an odd number of people, they may be asked to be seated next to someone who they do not know. the cancellation by email and on Facebook and Twitter by a day before or in the early morning of your tour date. 4. 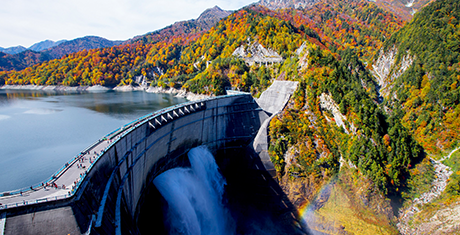 The tour itinerary may need to be adjusted due to traffic or weather conditions. 5. The returning time may be delayed due to traffic congestion. 6. Refunds will not be given to any of the changes, shortening of the time or omitting of the tour itinerary due to aforementioned reasons. 7. No alternative menu is available on the lunch menu for any grounds such as allergy for a specific food, religious or vegetarian reasons. 8.  The tour itinerary from April 27 to May 6 does not include Shirakawa-go observatory deck because during the 10 day holiday celebrating new Emperor's ascension, it is expected that the observatory deck will be crowed. 9. 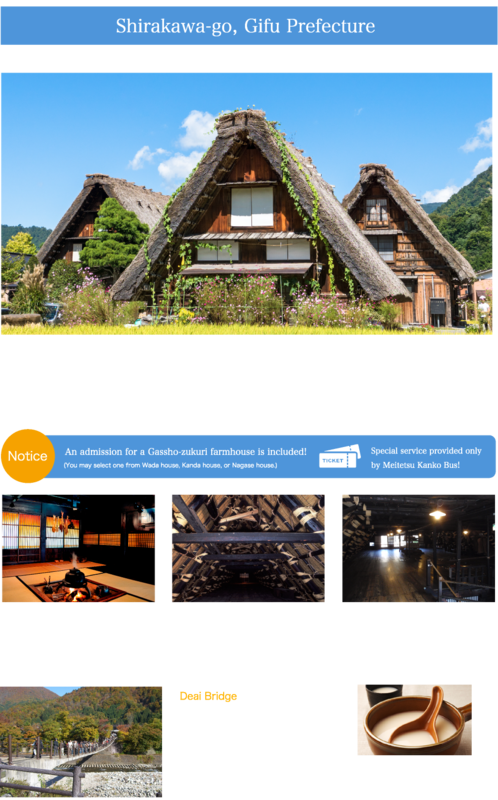 The tour itinerary from August 10 to August 15 does not include Shirakawa-go observatory deck because this period is the Japanese Obon vacation, it is expected that the observatory deck will be crowed. 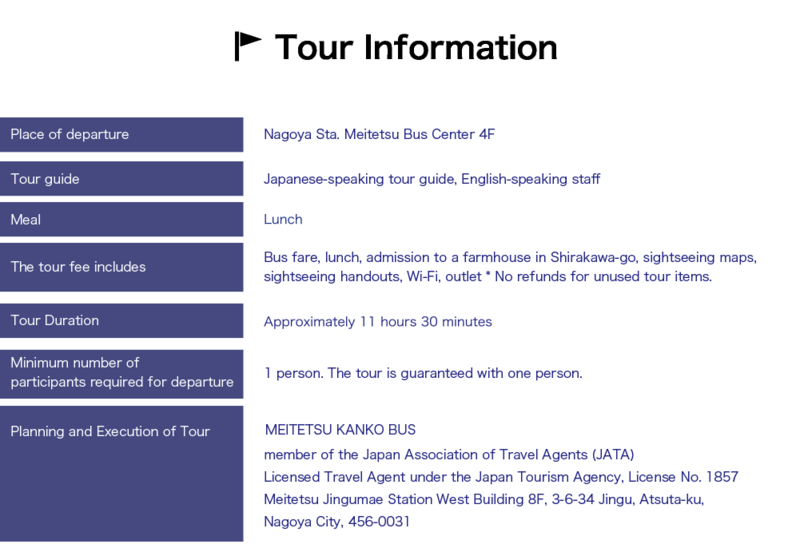 2-Day Bus Tour with English Speaking Staff Departing from Nagoya.  Designated departure dates between April 18th 2019 and May 21st 2019. 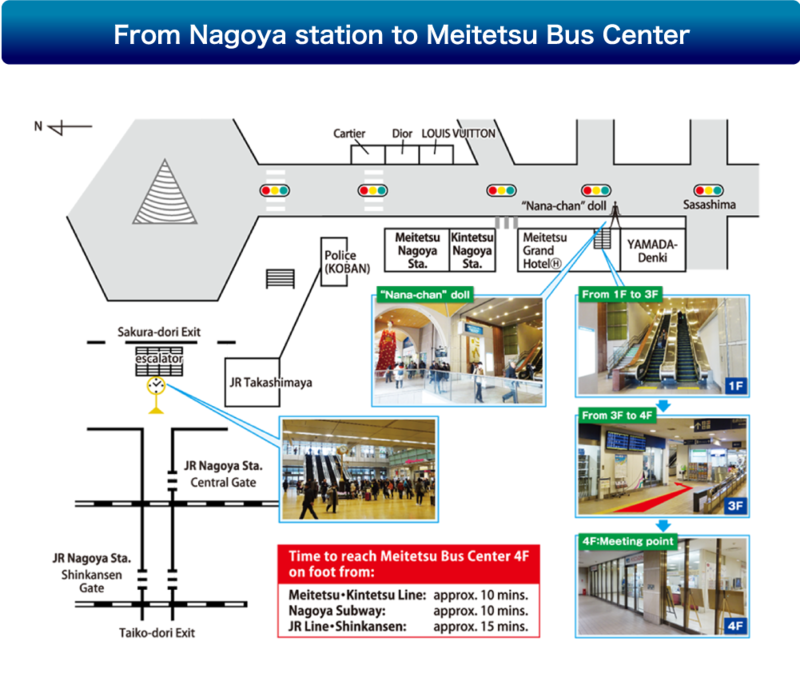 One Day Bus Tour with English Speaking Staff Departing from Nagoya. 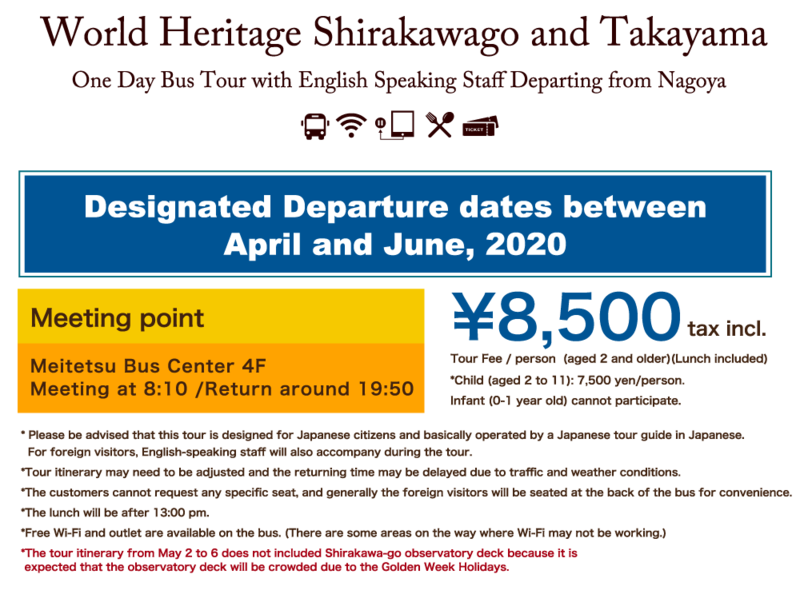 Designated departure dates between June 18th 2019 and September 30th 2019, costing just 6,990 Yen pp including Bento lunch.